From one beautiful spot to another! After our week-long stay at Ridgway State Park, we begrudgingly packed up and moved onto our next destination. We were working our way toward Denver to attend a wedding. If it weren’t for the wedding, I’m not sure hubby would have gotten me to cross the continental divide. I have become quite smitten with Colorado’s western slope. Ridgway State Park….Do we really have to say goodbye to this beautiful spot? 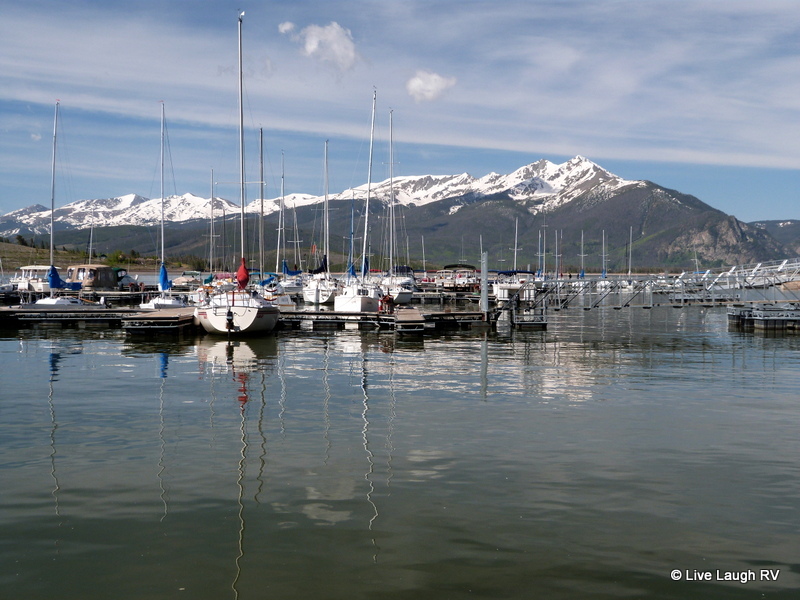 Since we weren’t in a big hurry to get to Denver, we decided to stop near Dillon, Colorado for a few days. 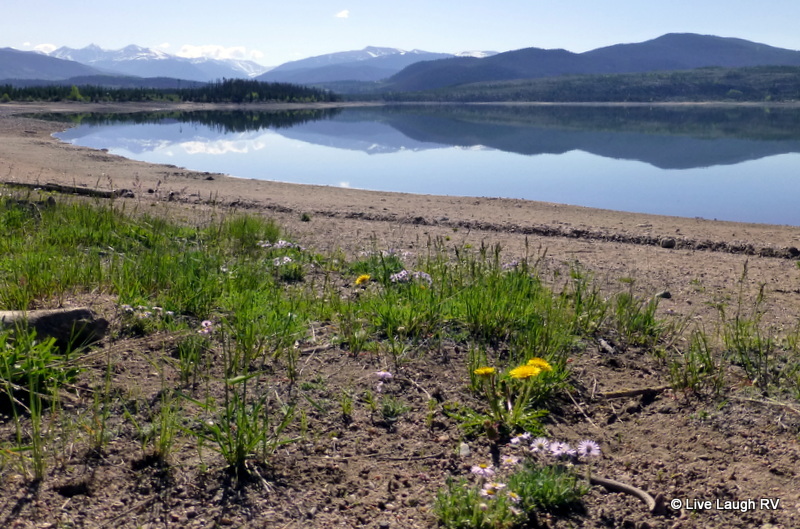 Lake Dillon and much of the land surrounding the lake (reservoir) are part of the White River National Forest. Although we’ve been to Dillon many a time in the past, it was usually to take the kids snow skiing in the winter. Thus, we were unfamiliar with the campgrounds in the area. I just love the blogosphere. Thanks to all the fellow bloggers out there sharing their adventures, we’ve discovered some pretty sweet spots to explore. It was in part due to Amanda‘s post on the Peak One Campground that brought us to the area in search of our own favorite spot to call home. 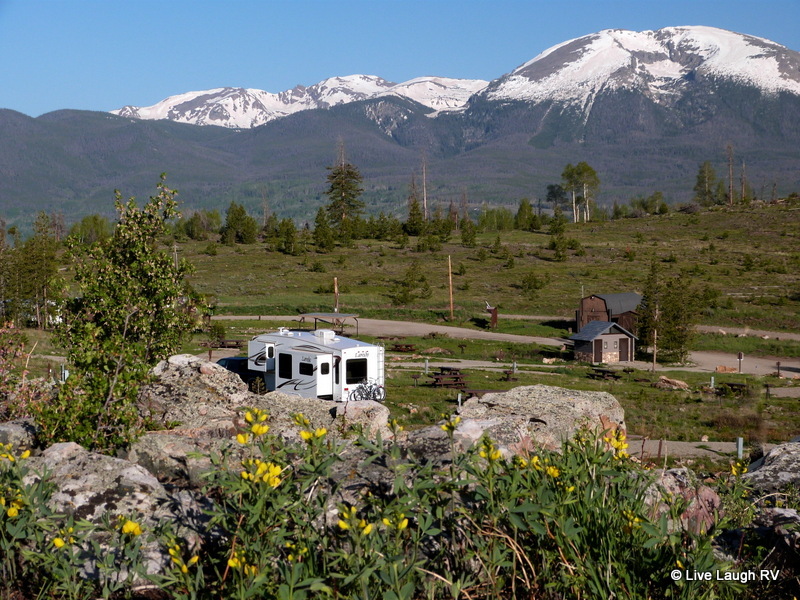 During our explorations, we discovered the Frisco / Keystone area around Lake Dillon offers 5 different campgrounds; Peak One CG, Heaton Bay CG (most popular), Prospectors CG, Pine Cove CG (basically a paved parking lot), and Lowry CG. Lowry CG is the least popular, most remote, furthest from the lake, but offers electric hook-ups. Heaton Bay offers one loop with electric but since it’s located close to Interstate 70, we felt the traffic noise was unacceptable. All the rest of the campgrounds are strictly dry camping. We found a nice large pull-thru site at Lowry Campground and were quickly reminded of the night-time temps that drop at 9,600 feet in elevation……burrrr. 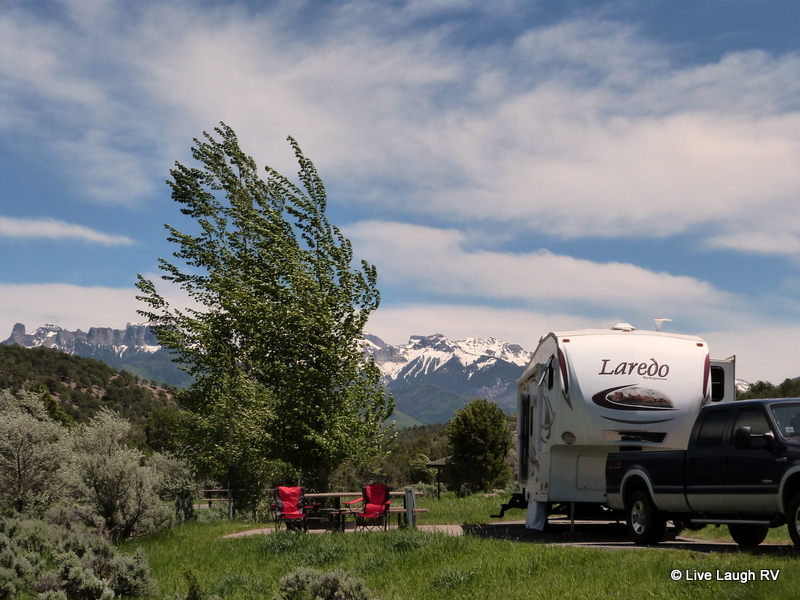 I was grateful for the furnace in the RV and the electric hook-up as those overnight temps dropped down into the 30’s (Fahrenheit) and it’s June…..June in the Rockies. Al and I did drive around all five of the campgrounds and made notes on our favorite sites for a return visit. 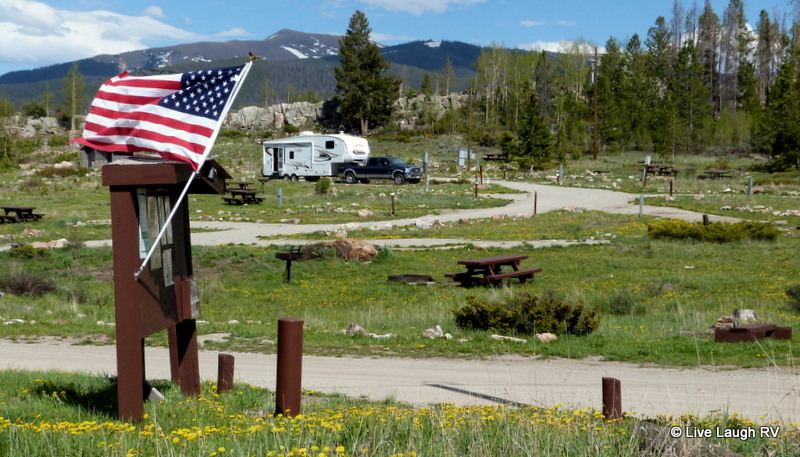 As is quite common with National Forest Campgrounds, most of these campgrounds were developed many, many years ago……long before today’s modern RV’s were even a glimmer in granddad’s eyes. 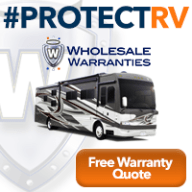 Thus, the majority of sites are designed for tents, pop-up trailers, and smallish travel trailers. Since we didn’t have a reservation (yes, they do take reservations over at recreation.gov), we did have a little difficulty finding an available site that would accommodate our 31 foot 5th wheel WITH room to park the trucks. Next time we’ll make a reservation. Most of the sites were too short for us, but since it was early in the season we did manage to score a nice pull-thru site. Once the weekend rolled around, our campground was full. Next up…..we stumble upon a fun event! Oh, how gorgeous! (We’ve been without internet for several days and I’m just catching up.) 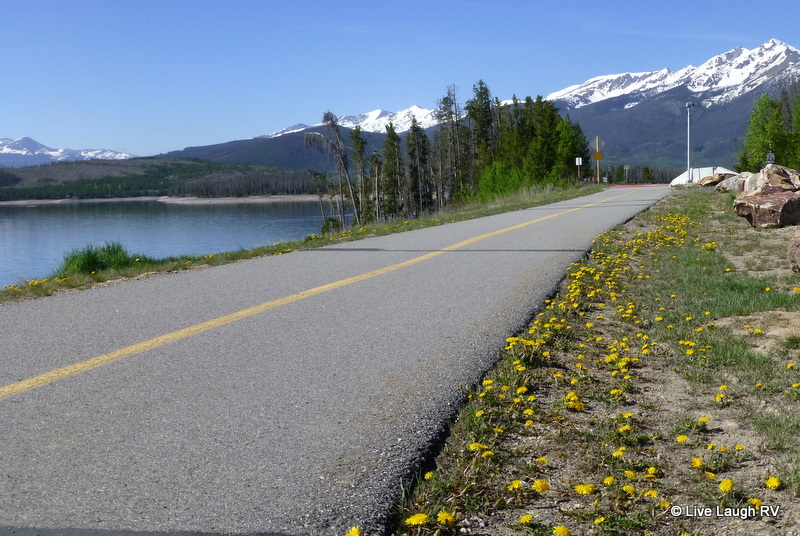 Spending a couple of months in Colorado in the summer is definitely on our wish list — I’ll certainly be consulting you about avoiding those “white knuckle” roads you mentioned. I vaguely remember one really scary road to or from Ouray…. The mountains make the perfect backdrop! Looked like you might of had a strong wind with the cool (cold) temps??? For someone who has not been there it is like you have this really really large back yard that can only be explained in photo’s as it is so great. You MUST visit CO, but check with me about impending routes. Some of the roads in Colorado can be a little of a white knuckler for flatlanders. Will you be back in TX this winter? We have Rockport planned again this Jan.
Facebook name??? I can be found under Ingrid Elizabeth. While to was sad to leave one beautiful site, sure looks like you found another beauty:) I so love parking with a view of snow capped mts. It doesn’t get much better, does it? We’re in the Denver area visiting daughter and I’m sure missing those open scenic vistas! Beautiful Captures – love arm chair traveling with you – Great Places to Explore 🙂 Happy Week! Thanks Renee…. I’ll keep seeking out those beautiful spots! What a beautiful place. 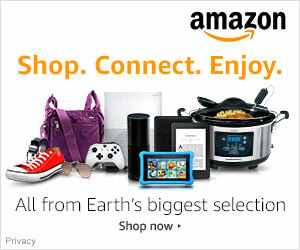 Can’t wait to hear about your fun event. Oh, nothing out of the ordinary. It was just a pleasant surprise for us! One magical spot to another. Loving your journey through the mountains. Doesn’t look like you need to go anywhere else! Stunning scenery. We stayed at a Best Western Hotel in Dillon once..a thousand years ago. I agree…the Western Slope is my cup of tea…I have a girlfriend who lived for a few years in Buena Vista…right in the valley and they had very mild Winters…Have fun in your new diggs….Denver has been getting some bad weather lately, be careful you don’t see Toto fly by! So glad you made it over to Dillon Reservoir! We already have reservations to return to Peak One in August. As you said, it can be hard to get a spot without a res. By the way, we just made it into CO and will be bouncing around the the state for the next 3.5 months. Hope we can run into you two somewhere along the way! I love the mountains…. breathtaking – especially the snow capped mountain tops.. enjoy, can’t wait to read about your next adventure. I love it! So beautiful! Colorado really calls me. I can’t wait to return next year. Did you see any dry camping spots for our 40 footer? Next year we’ll have our solar panels. Yeay!! Actually the Pine Cove Campground which is nothing more than a stripped parking lot would fit your rig with no problem. One row would even offer a lake view out your front window. The camp host discouraged generator use so you guys would fit right in with all your solar capabilities. Hopefully next winter we’ll get some solar. Gorgeous views. I’d also hate to leave that area. One of the joys of Colorado is the abundance of beautiful places. It’s fun discovering these gorgeous views. Thanks and if you have any questions or are interested in additional info, shoot me an email livelaughrv@hotmail.com July is a great month to visit Colorado as is September. September no reservations necessary, daytime weather is beautiful, but nights can get cold. August is occasionally rainy. I’ve read good things about Ridgeway on other’s blogs. I really like the shots with snow capped mountains in the background. Ridgway SP has turned into one of our favorite places. 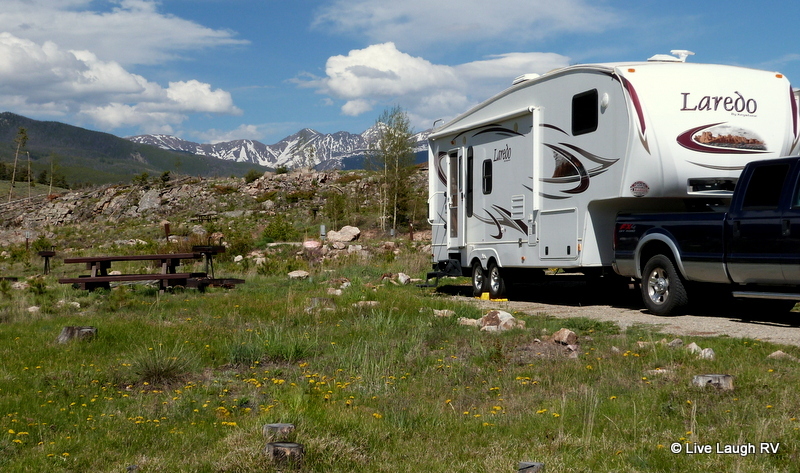 Not only is the campground nice, but there’s so many things to see and do in the area. I know it’ll be a regular stopping point for us. I don’t think two months is enough in Colorado, Ingrid, so much to ooh and ahhh. You are giving us so many great places to consider when we visit Colorado. Thanks for the great tips. You are capturing some beautiful scenery Ingrid. I remember well and you are showing me even more. Our very first volunteer camp hosting gig was at Ridgway State Park and we loved it. I’m taking notes 🙂 love the thought of a bike trail…. Exciting event?! The bike trail is awesome until some of the climbing starts…..no match for our THREE speed bikes. I think I can, I think I can, I know I can’t – LOL.